If you’re feeling uninspired, pick up a D&D sourcebook. Within these tomes written specifically for our favorite roleplaying game, you’ll find plot hooks, characters, pieces of art, and more. 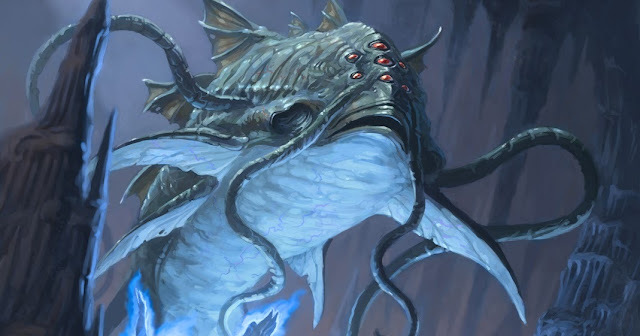 Generally, there are a few different types of books created by Wizards of the Coast and other third party content creators; with each, you’ll need a different mindset when poring for ideas. 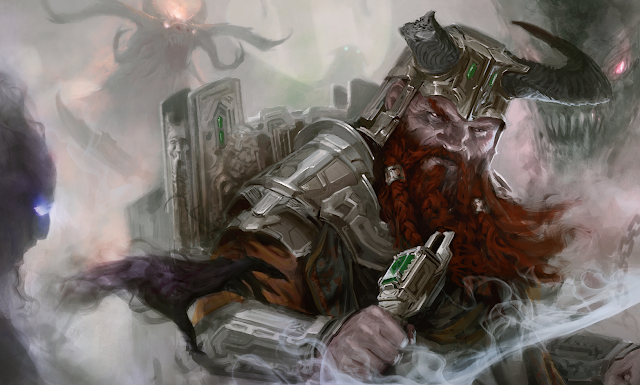 Adventure modules are books rife with story and character ideas. Content from these can easily be pillaged and repurposed for your own campaign. 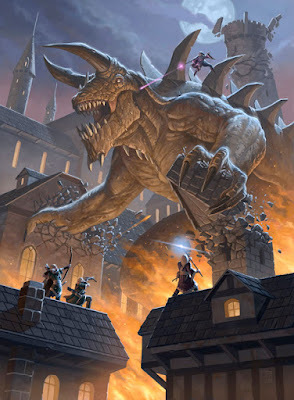 It doesn’t matter if a specific character, location, or monster is located in the Forgotten Realms, Greyhawk, or Eberron; that thing can exist in your world as well! Take Waterdeep, the City of Splendors - it’s fantastic - a fleshed out city with tons of opportunities for fun and excitement in D&D. What makes it impossible to put in your world, my world, or anyone else’s world? Nothing. Read about the city, do a bit more research, and plop it onto a coast in your world. The same goes for any character, monster, or plot. Are you in love with the Lord of Blades from Eberron? Steal him and make him yours! You can do this with anything unless you’re publishing it and selling it as a product. However, if it’s only being used at your home table, pillage away. Player resources are full of lore, mechanical inspiration, and art. When considering these, you’ll usually need to use the mechanics, art, and lore as a baseline and then build on it. For example, in the Player’s Handbook, the barbarian class is flavorful and interesting, but it’s simply a diving board. From it, you can pursue a plethora of topics: Barbarian tribes, a specific barbarian hero, a legendary weapon wielded by a barbarian, or even creating barbaric monsters. 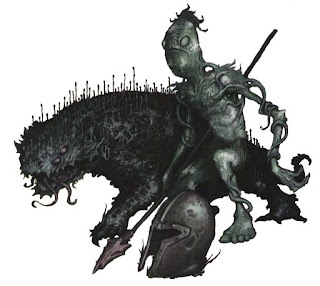 One of my favorite journeys to embark on is crafting unique monsters for my PCs to fight using character classes. 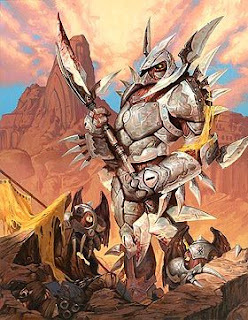 Human barbarians are swell, but troll, giant, and dragon barbarians are wicked. 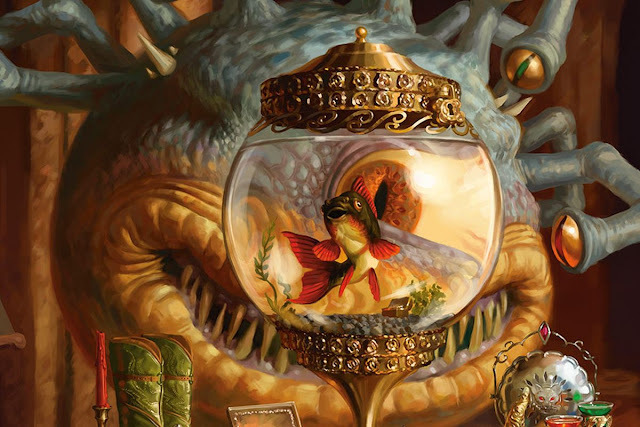 Dungeon master resources are filled with ideas aimed toward the dungeon master: Monster concepts, plot hooks, colorful history, and more. Since these are already tailored for those creating worlds, how to use them is self-explanatory. 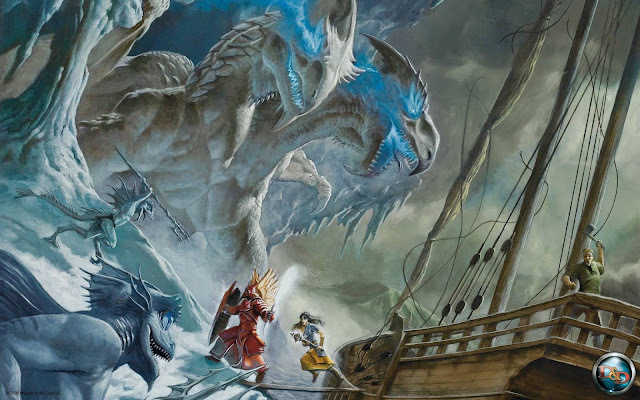 Pieces of art not directly related to D&D are rich with inspiration for this RPG. Oftentimes, ideas spring from the pages of fantasy and sci-fi works. Whether it’s the evocative and awesome-sounding names of places like Lothlorien and Dol Guldur (Lord of the Rings), to convoluted plots like the backstabbing, political, and epic story of A Song of Ice and Fire, you’re sure to gain at least a point of inspiration from these books. Staring at beautiful or horrid drawings or paintings can also stir feelings and thoughts inside you. Search Google, pick up a book, or even visit a museum to accomplish this, but be sure to take notes. Writing down what you’re thinking is key to remembering it. Music also oozes inspiration. 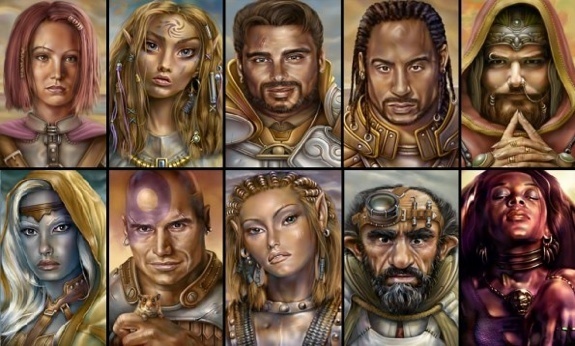 Listening to soundtracks from Lord of the Rings, Neverwinter Nights, and Baldur’s Gate inspire me constantly. Video game music works especially well because they are meant to fade into the background while you focus on another task. Usually, they do less storytelling than movie music. As dungeon masters, players, and creators, our largest source of inspiration is Earth’s history. We absorb everything from this wonderful planet, from entire cultures and scientific facts to larger-than-life legends and fantastical places. Not convinced that these aspects of our world can be used in our fantasy lands? Allow me to change your mindset. Some cultures are absolutely perfect for D&D campaigns; take the Aztecs, for example. This culture of South Americans were exotic and brutal. From the massive temples and floating cities they built to their vicious high priests who sacrificed thousands of innocents and criminals atop altars, their culture oozes ideas. 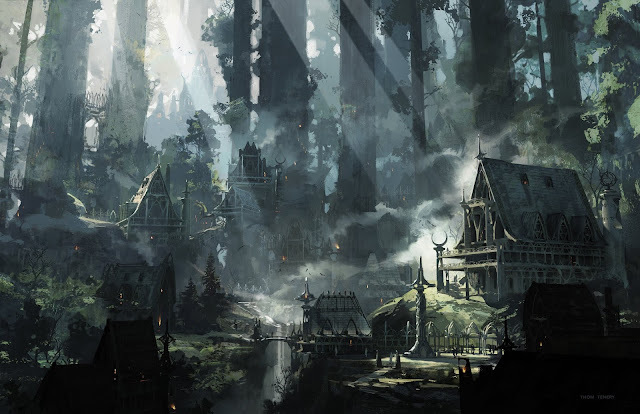 The legendary city of Tenochtitlan can easily be remastered as the heartland of a jungle civilization of tabaxi, yuan-ti, or lizardfolk and the Aztec’s vile religion can be transformed into the tenants of a demonic cult. The Aztecs are only one example. 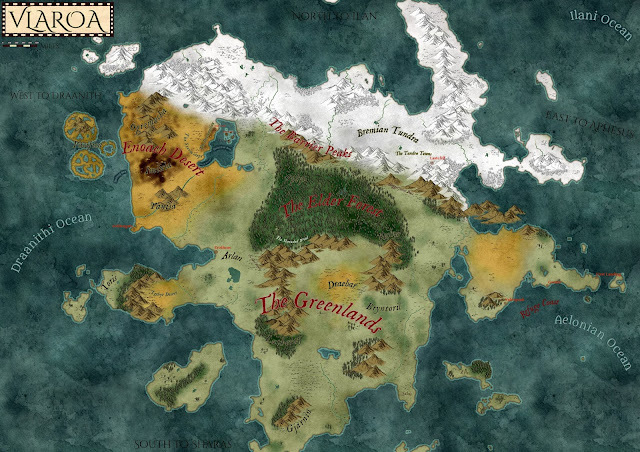 Pull from Norse mythology when creating lore for your northern regions; use pictures of amazing landscapes in China and India to describe exotic locales in your own world; base a vicious conqueror in your campaign on Genghis Khan or Alexander the Great; rework real-world science and call it magic in your own world. Our world has no limit of awesome to steal. Utilize it. D&D sourcebooks - both old and new - contain a wealth of D&D specific inspiration, and they were written by experts of dungeon, story, and world building. 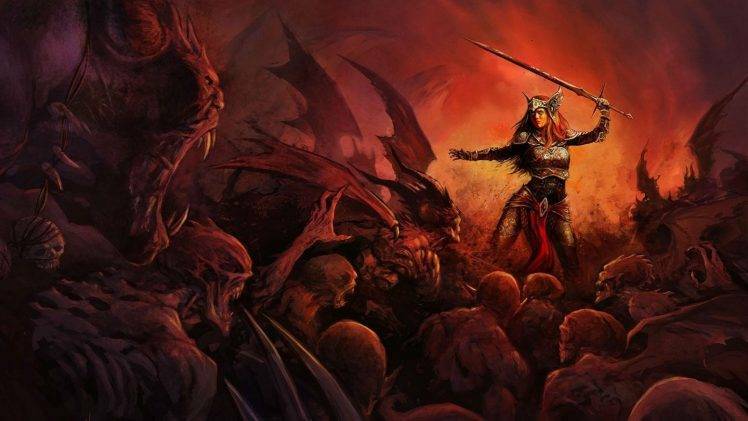 From The Lord of the Rings and A Song of Ice and Fire to the illustrations of Frank Frazetta and the plethora of other art found online, pieces of written and drawn art are excellent sources of inspiration for your D&D world and campaigns. The history of our world is rich, engaging, and, best of all, plentiful. Use the greatest resource at your disposal, Earth, to create your world and story.